Here, I would like to explain each of them in detail. Let’s get started with Graded Questions. 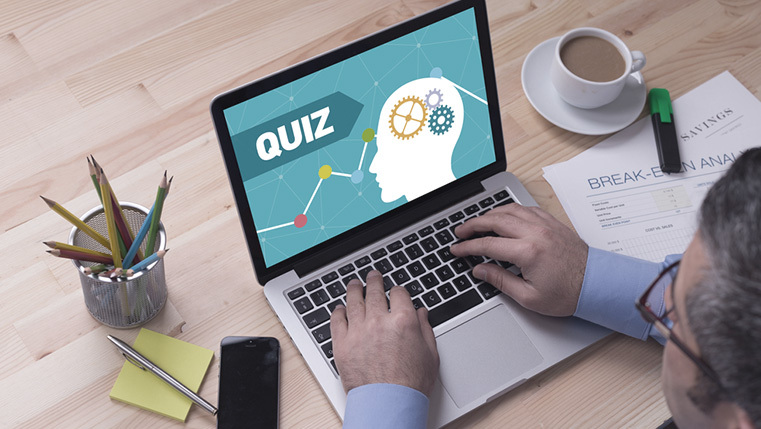 There are about 11 default question types in this category, which includes most common assessments like True/False, Multiple Choice (single select or multi-select), Fill in the blank and many more. Refer the screenshot below for more question types in the Graded Questions category. These are used only based on the requirement. The most important thing about this category is that these questions don’tuse score and these DON’T even have Correct/ Incorrect answers. The main purpose behind the usage of this type is to gather information from the learner. There are about 9 default question types in this category, which comprises of Pick One, Pick Many, Essay type question and so on. There are 6 question types in this category. These are Drag and Drop, Pick One, Pick Many, Text Entry, Hotspot and Shortcut Key. 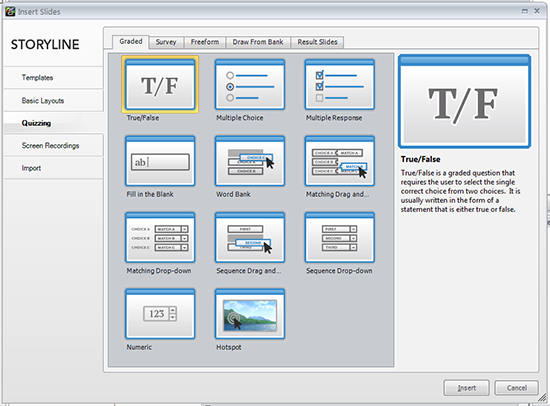 Drag and Drop and Text Entry types are the most commonly used. We can convert any static slide into an engaging/ quiz slide using freeform question type. 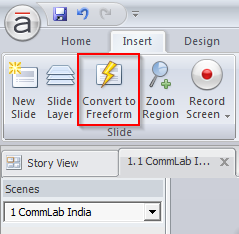 To do this, just go to theInsert tab and click on Covert to Freeform option. A window will open prompting you to select the form, into which you want to convert your static slide. I am going to convert the slide into a Drag and Drop. So, select Drag and Drop and click OK.
A window will appear prompting you to specify your settings and correct answers for the quiz type. Set them as preferred and click the Save & Close option. 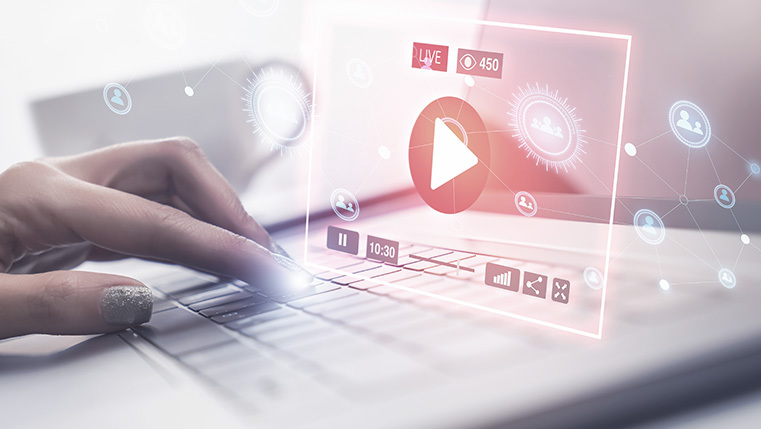 You can also do this later, manually, by clicking the Edit Drag and Drop option on the top right corner of your slide and specify correct options. And you are done. 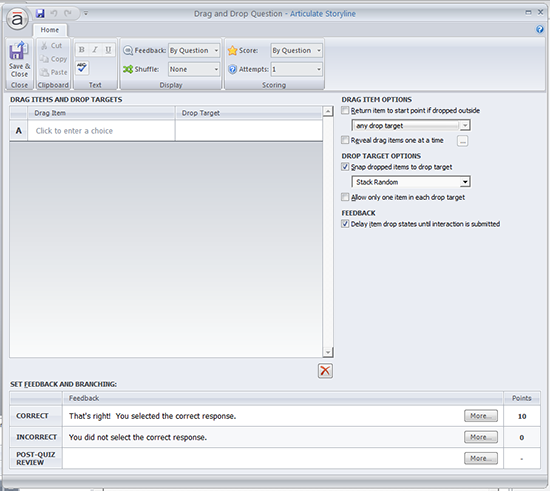 These are the various question types present in Articulate Storyline by default. Please do share your comments and suggestions regarding this post.